October is a busy month for many families and our family was no exception. 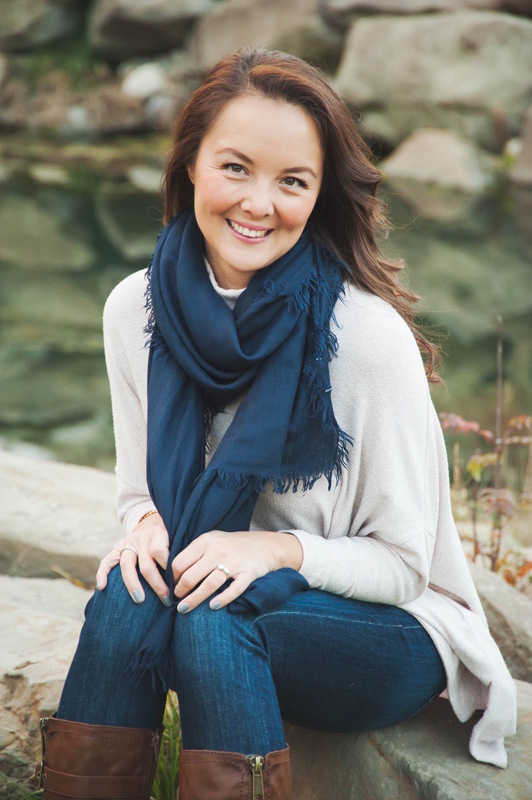 Of course we had the usual…work and hockey for my husband, preschool and activities for the twins, and I ran my business and blog and continued to make the ‘wheels go around’ for our household. On top of that there was, of course, Thanksgiving and Halloween…plus we had one last ‘Glamping’ hoorah. Oh, and my BFF also had a big birthday celebration to top it all off. Basically, what I’m saying is – if Darren and I hadn’t taken our ‘monthly date night’ pledge (you can find it in my blog post ‘Keeping the Marriage Alive – One Date at a Time’), it ‘might’ have not happened in October! Correction – it ‘wouldn’t have’ happened in October. See Darren? Routine is good after all! We changed it up a little to work with our busy month and we decided to get out on a weeknight (Thursday) evening and that actually worked well. We had a little extra time that night, without any activities, and we were able to easily find care for the kids. 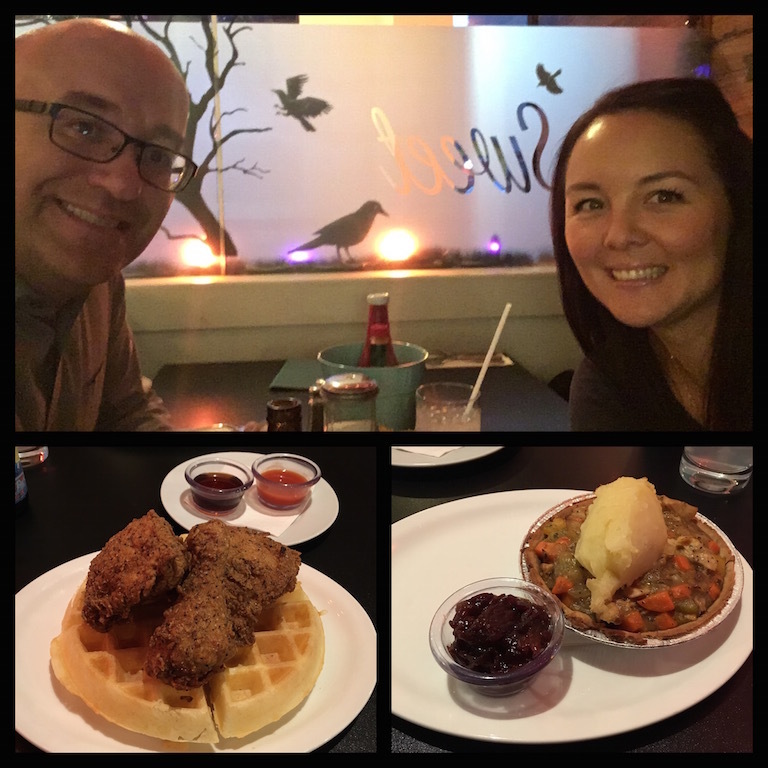 To change it up a little bit, I drove downtown to meet Darren once he was done work and we checked out a little spot I have been dying to try out – Pie Cloud in Kensington! Yes, sometimes us suburban ‘Stay at Home Moms’ (otherwise known by the acronym SAHM’s) can get all ‘crazy’ and we actually leave ‘the burbs’! 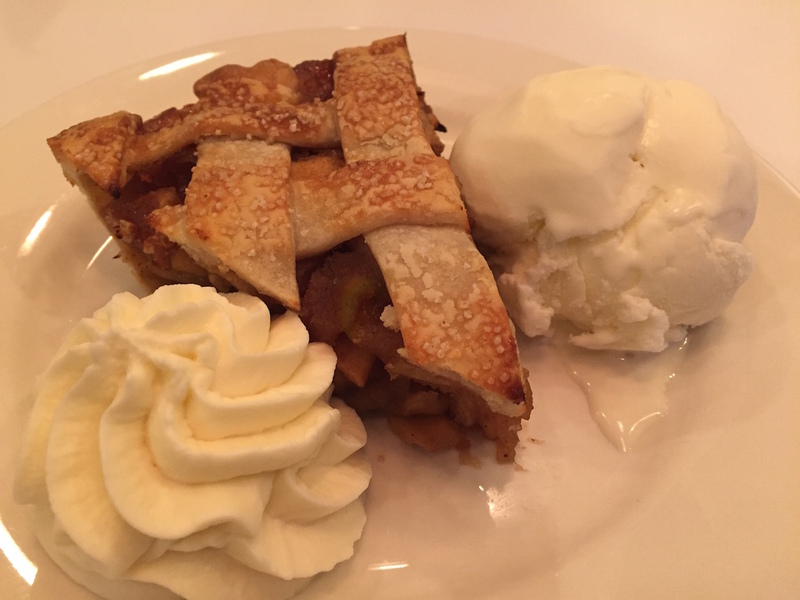 If you aren’t familiar with Pie Cloud, it is a diner/bakery-style restaurant specializing in all things pies (hot and cold) as well as some other diner-type food items – and I thought it sounded like a great spot to try out. I love me diner food and I love me sweets! Side note: Anyone who has been to my house for a holiday turkey meal has seen me throw together a couple of Turkey Dinner Pies with the leftovers (I call them ‘Thanksgiving Pies’ or ‘Christmas Pies’). They are my absolute FAVOURITE!!!! They are so easy to make, they freeze well, and they are a great way to get a taste of a turkey meal during the off-season. I’ll add a link to the recipe I use at the end of this blog post in case you want to try making one. You really should try one! Squeeee!!!! I was so excited!!!! Lucky for me, Darren decided to order the Chicken ‘N Waffles himself so I went ahead and ordered the Turkey Dinner Pie knowing I could sample his (thanks Honey!). I do think it’s worth just giving you a heads up (since I’m going on and on about them) that it takes them a little while (approximately 30 minutes) to make the Chicken ‘N Waffles…maybe don’t choose this item if you stop in to eat but are in a hurry. The food was great and we even splurged and shared a piece of apple pie – because how can you go to a ‘pie place’ and not have ’pie’? The date was nice! It was fairly short and sweet but it served its purpose – We enjoyed having some adult time together, having adult conversation….free from the interruptions of home and the twins. And that’s the whole point! As a huge mom-bonus to the evening, it did get even better – I got a break from the bedtime routine! This is where I insert loud cheering and clapping! Thanks so much to my friend, and fellow twin-mom, Ange for taking care of that! As I promised, I want to share with you the recipe that I use for my Thanksgiving/Christmas Pies. It’s actually a Martha Stewart recipe that I keep it conveniently pinned on my favourite Pinterest Board – Recipes Tried and True!